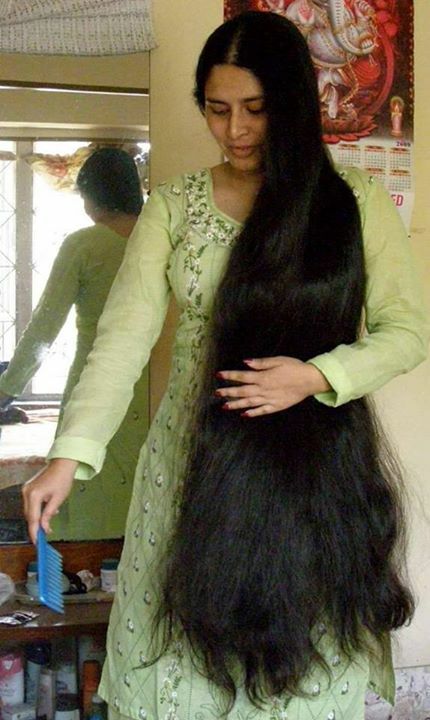 Indian girls are known all over the world for their long beautiful black hairs. 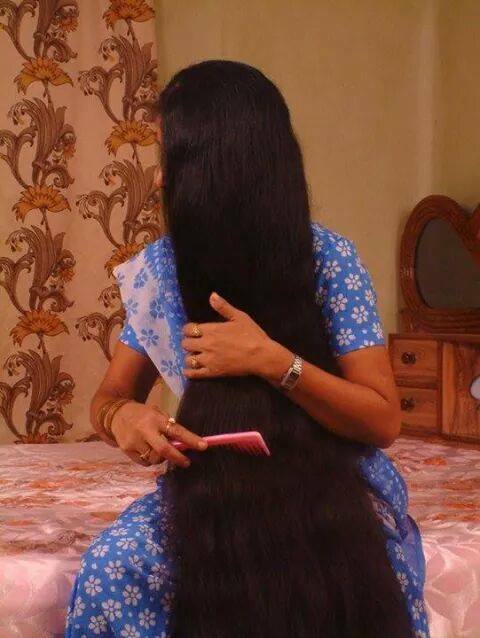 But keeping long hairs are not at all that easy. We have to follow strict regime for keeping our hairs healthy and beautiful. From eating right to washing your hairs properly all are important! Following are the few points which should always be kept in mind for healthy and long tresses. Splits ends happen due to breakage of hair vertically at the ends dues to nutritional deficiency, or cosmetic abuse. To avoid split ends avoid excessive chemical and heat abuse, and rule out for vitamin deficiencies. Trimming hairs regularly helps in avoiding spilt ends as spilt ends reduce the growth of hair. Low Iron content in the body can cause hair fall. So, Include foods in diet and get plenty of sleep. It is also important to drink at least 3 litres of water every day. Water not only helps in keeping our skin good but also helps in hair root strengthen. Avoid caffeine, alcohol and smoking. They are not only injurious to health but they also slow down the hair growth process. If you are doing all you can and still seeing gobs of hair falling off, that means you are suffering from hair fall problem coming out of stress. Olive oil is knows to reduce the stress level .This applied on regular basis makes hair strong and improve its texture as well. Be gentle while combing your hair and use wide teeth brush and detangle your hair slowly. Comb your hair once before hair wash. Combing hairs before hair wash reduces the of chances tangling while washing them. And first allow your hairs to dry naturally as the roots become weak when we wash our hair. Combing wet hairs generally pull out few strands of hairs causing hair fall too. So avoid combing wet hairs! Curling, blow-drying, straightening, colouring are all part of this routine. Avoid blow dryer and straightener as much as possible. Tight braids can cause more hair fall than necessary. So, avoid tight braids so that they do not pull your hair. Also, keep in mind only to braid on dry hair. When you braid in wet hair, the moisture retained often rot the hair follicles and induce hair loss. You might see that often in month your hair tends to fall way more than the other times. So don’t panic every time you see hair strands on your comb, just keep in mind that it’s natural and it happens with everyone at a certain age. But when you notice large no of strands, consult a doctor immediately. These birth controlling pills can cause hair fall and also induce your hair loss too. So, consult a doctor and talk to her if you are taking such pills to get rid of the situation. Take hair bath thrice in a week. Avoid washing hair every day. Wash your hair on alters days like Tuesday, Friday and Sunday. On Tuesday apply curd for 10 minutes, on Friday apply lemon juice for 10 minutes and on Sunday massage your hair with coconut oil and shampoo then. t is an old popular method. There are various types of oil available in the market such as coconut oil, lavender oil, jajoba oil, castor oil, almond oil, sesame oil, olive oil etc. You can also mix different oils and then apply it on your scalp. Always condition your hair once in a month and take hot oil treatment at home. This remedy prevents hair fall too. You can cut one Aloe Vera leaf peel off the skin and rub the gel like substance of the leaf on hair scalp. Keep it for 20 minutes and wash it off with your normal shampoo. You can use aloe vera juice in the same way too. Take 3-4 eggs (according to the length) and beat them well. Add one lemon juice so that you do not get irritated with the egg odour and apply it on your hair. Cover your whole hair and keep it for half an hour. Then wash off your hair as usual with a shampoo. You can apply eggs also if you are into lot of blow drying or strengtheners. Use Mayonnaise to condition your hair if you use chemical to colour your hair. Just take one cup of mayonnaise (plain mayonnaise) and apply it on your dry hair. Cover your whole scalp with it and shampoo normally after 20 minutes. It will make your hair nourished and prevent them from further damaging. Take 10 petals of the hibiscus flower and boil them in 200ml of coconut oil. When you boil this oil it will completely turn red. Let it cool down first and then store it in a bottle. Gently massage your hair with this oil. This oil is very effective in curing hair fall problems and promotes hair growth. It also protects from premature greying of hair. A good hair rinse promotes healthy and shiny hair. Hair rinsers are basically the product we use to coat our hair after shampooing! Conditioners are more familiar hair rinse to us. We can try few natural and home-made rinses like tea rinser, vinegar hair rinser, lemon rinser, chamomile, sage, linder flower rinser and beer. These hair rinser are easily available in market or you can simply prepare them in home! During the monsoon season oily hair become limps and requires lot of shampooing. To reduce oil from scalp apply lemon juice for 15 minutes and then rinse it off. This is quite a popular an effective remedy for oil free scalp. Don’t go under the sun after apply lemon juice as this can change your hair colour. Never use straightners or curlers immediately after you colour your hairs. Wait for at least three days back you have coloured your hair as straightening or curling solutions are going to damage hair and you will notice your hair breaking much easily than before. If you want straight looking hair then give them a cold water rinse which of course you can stand after using a shampoo and conditioner. Cold water locks down our cuticles and make them frizz-free making hairs look slicker. Avoid rubbing your wet hair with a towel as they tend to make hairs fizzier. So instead keep the towel on your hair for 10 minutes and then take the towel off. There are many home made remedies for treating dandruff. Try this simple home made remedy to reduce dandruff formation. Take 4 tablespoon of grounded neem leaves in a bowl to which add a drop of clove oil. Mix them well and apply this on your scalp. Keep it for 10-15 minutes and shampoo. This will reduce your scalp itching problems and also treats the dandruff. Layers of gel and spray can rob stands of shine. Fix this by sprinkling a teaspoon of baking soda into your usual dose of shampoo and wash your hair with the mix once a month. Some try and stay away tips according to different hair types. Many of select wrong hairstyles or haircuts which turn our head look like we are having hair loss or other hair problems. Even if we have hair problems, they can be making unnoticeable by using different hair cuts according to the hair structure. Try –long sleek blunt cuts to show off your perfect straight hairs. You can also try short cuts as they are add extra body making your hairs look more in volume. Stay Away from – Long layers. They make fine, straight hair look super thin and you will get lots of fly away. Try – long, layered cuts or chin-length bobs. These hair-styles give thick hair lots of movement and make them look fuller. Stay Away from – blunt cuts. Try – A chin length or above (the shoulder cut). It will help make your fine hair look full. Stay Away from – super long hair. Your curls will get all tangle and dry, and they will also be harder to maintain. Try – long layered cuts or shoulder length bob hair-cut. A layer-cut shows off your beautiful curls and also highlights your face. A shoulder-length bob hair- cut will help keep your curls from getting weighed down. Stay Away from – layered cuts and short-cuts as they give our face look more like a geometric shape. And, err, no one look good with a triangle head!! Try – a shoulder length look with gradual, face-framing layers. Psyched for straight? Use hot-rollers on the ends of your blow-dried straightened hairs for giving it a little curl. By using hot-rollers in the hair ends gives you a flirty flip look. Stay Away from – long hair on extreme layers. Extreme layers can sometimes blow- up straight all the locks, textured hair, with its energy and bounce, might try to go in three directions at ounces’. Try- French braids mini-braids and for shorter-haired gals teeny short braids with beads on the end. • Stay Away from- choppy layers or completely all natural look. If your hair is sleek, tends to get heavy and clumpy at the roots and starts to look greasy when you comb or brush it too much you have oily hair. Avoid heavy styling products like gels and don’t go crazy with the hair-spray. Shampoo daily with a formula designed specially for oily hair. Use conditioner only at the hair ends avoiding the scalp. Try a brush with synthetic bristles, not natural ones. Synthetic bristles will style without spreading oil from scalp. If your hair breaks easily and is prone to split ends you have dry hairs. To help your tresses regain their moisture use conditioner daily and opt for an extra body shampoo. Make sure you get frequent trims to control those splits ends, and try taking a break from blow-drying once in a while. Fine Hairs: – If your hair doesn’t have much body and you can wrap your ponytail holder around it three or four times, you have fine hairs. Try a volumizing shampoo and a light conditioner for a boost. For added lift, apply a little mousse at your roots and then blow-dry your hair, turning your head upside down. Posted on April 11, 2015, in Long Hair and tagged 25 Best Homemade Tips For Long Hair. Bookmark the permalink. Comments Off on 25 Best Homemade Tips For Long Hair.